You’ve decided that Miami move is the right thing for you, and you imagine yourself in an apartment for rent. Have you just decided to move to Miami, or you are looking to change a place being a Miami resident already? In any case, you will need some tips for renting an apartment in Miami. There is a lot of things to know, so we are here to help you through the process. There are several ways you can go about finding apartments to rent in Miami. You can begin your search by calling or browsing some local property management companies. For fastest results, have the price range and desired move-in date ready. Miami is a fast-paced rental market, finding an apartment to rent can take over a month. Keep in mind, Miami apartment hunt is no laid-back business! The new rentals often go super fast. Due to a high demand in many Miami neighborhoods, sometimes the newly listed apartments last for only one day. If you hesitate with placing your offer you might lose an apartment in a matter of hours. So, just in case, as the Miami realtors suggest, bring some standard documents with you when you go to view the places. In case you find your perfect unit, you will want to make a move right away. Keep with you your government-issued ID, a bank statement, a recent pay stub, credit report, and even a letter from your current landlord. These will help you to go through the rental application process more quickly if you need it! Knowing that this rental market can be quite competitive, you will want to set aside ample time to find your perfect apartment to rent in Miami. Having documents handy when you find your apartment is one thing. But having enough time to search for it beforehand, is surely very important in order not to make a rash decision! It will probably take you more than a week to find an apartment you really like. The application process will take around two more weeks. Renting an apartment in a condo building might take even longer than that since these rentals go through the condo association. This means you will probably need to start looking for an apartment to rent in Miami at least one month prior to your move-in date. When starting your transition from one apartment to another, it’s a good time to engage in planning your move. Start by finding some tips for your Miami relocation. Are you moving from another city or town? Have you considered all the prospects that living in Miami will bring to your life? Make sure that you know what to expect when starting a new life in Miami. Knowing the legal stuff should definitely be on your list, in order to be successful when renting an apartment in Miami. Before you research the legal requirements, take a look at the essential documents you will need. Miami has 25 neighborhoods with 40 “sub-neighborhoods”, which is plenty to choose from. If you are right now in the process of how to choose and move to a neighborhood in Miami, considering the rental prices beforehand is crucial. Miami has beautiful neighborhoods near the waterfront. Being one of the 10 most expensive rental markets in the US, Miami city’s hottest neighborhoods are constantly in a high demand. In case you can afford an upscale apartment in Miami, there are several neighborhoods you should know about. Do you enjoy the nightlife and parties? South Beach is a renown center of Miami’s hot nightlife. It is also one of the most popular residential neighborhoods in Miami. If you like a glamorous lifestyle and proximity to celebrity-chef restaurants, South Beach might be the best option for you. Being an emerging hotspot, Brickell is a neighborhood located just south of Miami’s Downtown. It is the city’s financial center, where you can expect to see both luxurious condos and businesses. It also makes one of the affordable neighborhoods in high demand! Downtown Miami is a perfect neighborhood for people who like to be in the center of the city’s life. It is renowned as a busy shopping area, and as a hotspot for cultural venues. Downtown Miami is becoming one of the most desirable areas so make sure you check it out when searching for an apartment to rent in Miami. Even though Miami’s rental market can be pricey, you can still find several affordable and lovely neighborhoods. Here are some of Miami’s best suburbs and up-and-coming areas, where you’ll find rentals priced on the lower end of the market. 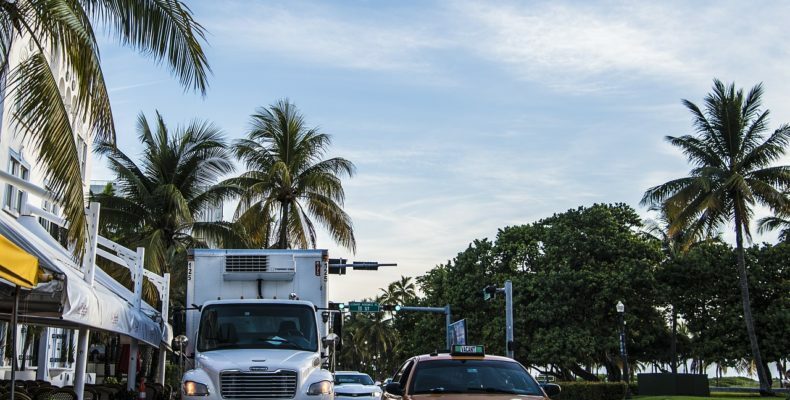 If you imagine yourself living near the waterfront but you don’t want to pay South Beach prices, North beach might be the best neighborhood for your move to Miami. Living here means you’ll have easy access to the beach and bike trails. Great nightlife is also one of the landmarks of the North Beach! Caribbean-style Little Haiti is well known for its creative international cuisine restaurants. This colorful neighborhood is filled with fruit stands and street murals, and it has a lively art scene of the small, independent galleries. Living there also means access to the Little Haiti Cultural Complex which showcases Afro-Caribbean art, theater, and dance. Just minutes away from Miami Beach, Miami Shores is a neighborhood which is affordable and easy to commute to and from. 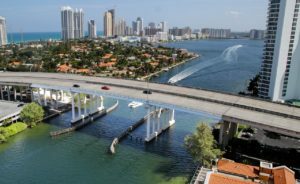 Residents working in the Greater Miami area make most of the population of Miami Shores. A sizeable portion of the population is retired people. 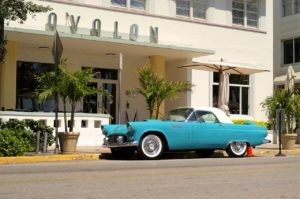 If you like Cuban culture and heritage, Little Havana is Miami’s vibrant cultural hub filled with busy restaurants and Latin American galleries. It is one of the most affordable Miami’s neighborhoods and it is certainly a good option for renting an apartment in Miami. Little Havana is Miami’s unique cultural hub and one of the affordable neighborhoods for renting an apartment in Miami. 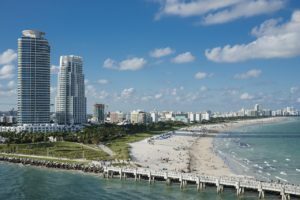 Whether you’re moving to Miami as a single or with a family, on a budget or with some deep pockets, there will definitely be plenty of options to choose from when renting an apartment in Miami. Make sure to start searching at least one month prior to your move-in date. Also, make sure to match your lifestyle preferences with the right information and happy renting!